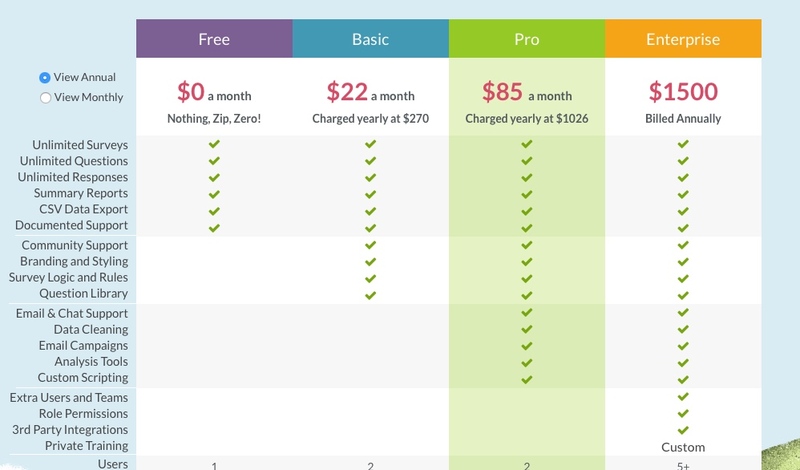 That is going to be the ceiling on your freemium conversion rate. That is the percentage of users who will ever pay anything. The rest will remain free users for ever. This number should sound familiar to you. That is the number most start with as we have seen in early examples, Evernote, Dropbox, LogMeIn and countless other apps. 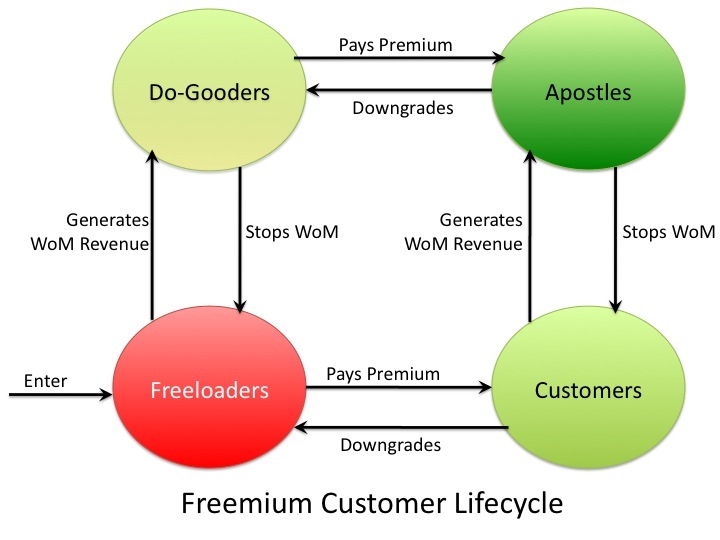 And it appears that is the number most freemium businesses end up with as well. There is no data to support the claim that, “just wait for users to fall in love and start paying for it”. Or to the claim, “more will pay up to buy goodies and add-ons”. Where is the data for my claim you ask? Well we do not have extensive data on every freemium startup that started five years ago. Most die out or do not make significant enough cash to join unicorn clubs on valuation. We are going to look at the data on two of the biggest winners – one who had an exit and other with known private valuation. King Digital, the maker of Candy Crush genre of games with freemium model went public and last week was acquired by Activision for $5.9 billion. That is a valuation number that is tad lower than its IPO day an year ago. And a key metric reported is most users are not paying a dime and the percentage who spend remains 2.5%. Dropbox has a private valuation of $10 billion. It reportedly has 400 million users but only 150,000 paying customers. Considering these are businesses, if we give a generous number of 50 paying users per business and add a few more for personal users, we still hit a number of just 2.5% paying customers. All of Dropbox future revenue growth is not going to be from covering free users but from a focused enterprise product and GTM strategy (which Box did 3 years ago). If the percentage of paying customers top out at 2.5, what options do freemium businesses have? They do the only thing they know is revered in the startup space – they grow. They spend more on customer acquisition. They hire growth hackers. All in the hope of keep finding 2.5% in every million users they add. You would think after the first 10 million users they will understand segments, value and pivot to a better product and pricing strategy. Unfortunately that sounds boring and defeatist compared to the sexiness of growth hacking. Hack all you want, as King Digital acquisition says there is only so much value market assigns to user growth that hardly pays anything. Wouldn’t you rather start here? SurveyGizmo- Free Version Done Right. No Freemium is not Back. TLDR – The title says it all. This is not scattershot approach of freemium. 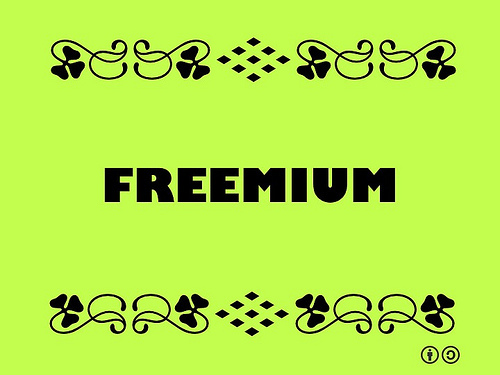 My all time popular article – most read, tweeted, commented – is the one on Freemium I wrote for Gigaom. That article begins with a quote from Christian Vanek, CEO of Boulder based SurveyGizmo. I will always have a soft corner for SurveryGizmo because it is from my adopted hometown of Boulder. And it is an amazing survey tool with great UX. SurveyGizmo knows pricing is not static and it needs to constantly iterate to align with changing customer mix and needs. Yesterday they announced a free version that has no limits on questions and responses. What does this mean to its stated segmentation strategy? Is freemium back? I did not get to talk to Christian on this but I posit this is not fall back to scattershot approach of freemium but a carefully chosen pricing strategy to account for change in customer mix. Here is a view of what its current pricing looks like. In addition to a free version there are now 3 versions. 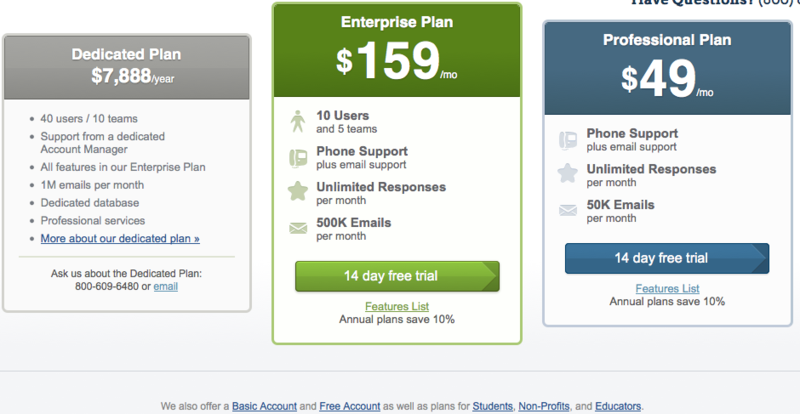 Contrast that to their single pricing option they had in the past. And prior to that the choice of three versions. Now it may appear they are not only back to where they started but also introduced a free version which could be seen as adoption of freemium. There is abundance of general purpose survey tools for casual users – hobbyists, bloggers and the rest. You cannot compete for this category nor can you expect them to pay. Casual users are not conducting a rigorous marketing research but are simply collecting some data and writing it up. Most surveys by casual users have less than 3 to 12 questions. So offering unlimited questions is a no brainer choice. Most surveys get fewer than 500 responses. For a carefully designed survey that does random sampling of its target population that is more than enough. Will these casual users ever become paying customers? Highly unlikely but the cost to serve them is almost nothing and there is value in using them as test subjects for many new experiments and product features. Serious users start with a decision problem, conduct exploratory step to build hypothesis to test then conduct a meticulous survey. These users need more sophistication from the tool. All the feature that serious users value – input error checking, adding logic and control to the flow, rules etc. – are available only in the next tier. Of these serious users who is willing to pay for a superior survey design, there is a certain class that is satisfied with basic support while another that is willing to pay for faster and better support experience. For the second class there is a premium priced version at $85. 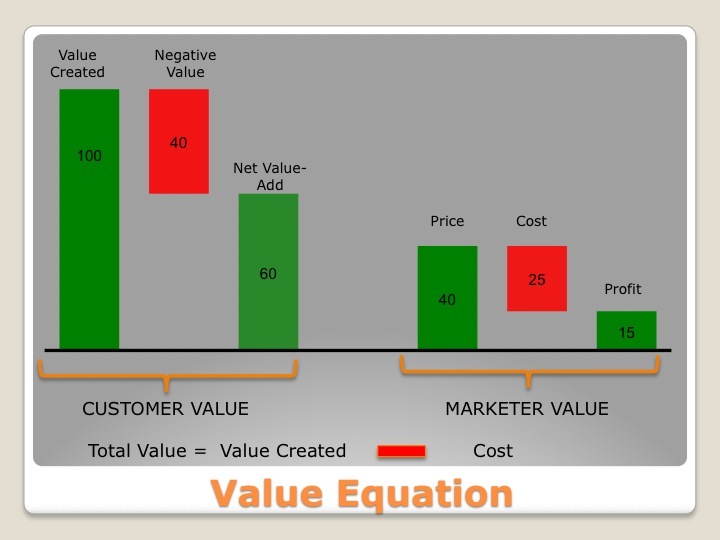 Overall I believe this is pricing done right based on customer segmentation. The goal is not to get bunch of free customers and hope they will upgrade but to keep SurveyGizmo in the consideration set for many serious users by increasing its awareness among all users.